In just a few years the Tahura Trail in Bandung, roughly three hours away from Indonesia's capital Jakarta, has developed into one the country's top running events. The 7th edition on 19 January is again the opening race of the Asia Trail Master Championship series, as it was in 2018 and 2017. The event is organised by the running division of Indonesian Biking Adventure, a well-oiled team that puts up several events a year as well as guide adventure travellers around the region and Java as a whole. The event features a Trail Running Expo as well, and can be combined with a city trip to Jakarta, or quite simply a great weekend outdoors with the family as the Bandung area is famous for that. Fly into Bandung direct if you can via a.o. Singapore or Kuala Lumpur. Alternatively, fly to Jakarta and take a train or bus/minibus to go to Bandung in 3 hours, or more subject to traffic. To kick-off the new year, this is the perfect trail race. Not too technical in general, and therefore also a superb introduction to the sport for beginning runners. The official data suggests 70% of single trails. Take note of the 1500 hm of elevation gain, however. Not excessive but certainly not flat neither. You will pass various types of landscape, including waterfalls, forests and rivers. There are bits of road to connect with trails also. You can download the UNOFFICIAL GPS file and check the latest information from the course director here. 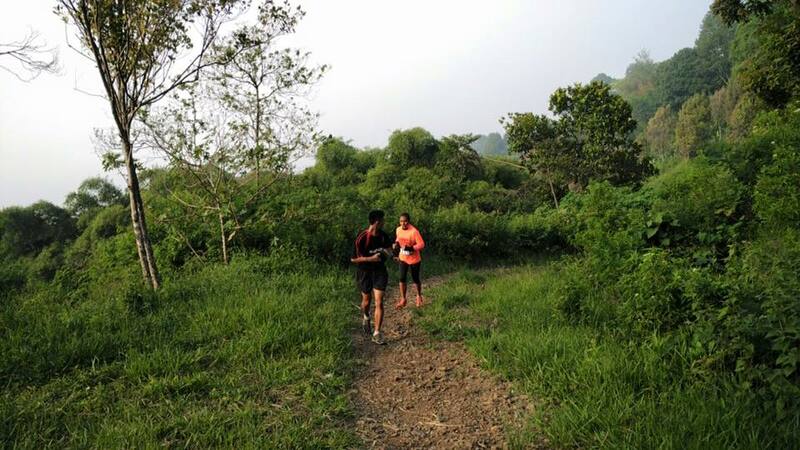 Tahura Trail Running Race is a trail running competition, which features offroad terrain in open nature including hilly sections and other challenging natural obstacles. Surface on which will be run include common asphalt roads, rocky road, dirt road / mud , village paths and paving blocks. Race distances for Short is + -10Km, Half Marathon Trail 21k, Marathon 42k Trail,+- Family + -6km and Night Trail +-17km. For the Asia Trail Master series' points championship only the 42k Marathon race counts for points. In addition to the uneven contours of the course, both uphill and downhill , this competition is held in open nature with possible weather changes that must be anticipated by each participant, such as cold , rain and heat . Unlike road running competition, trail running requires more stamina, a better sense of running technique, and higher spirit than running on the roads in order to beat the challenges that come in a trail running competition. You are aware of the risks involved in participating in an endurance event such as a marathon, and are appropriately insured in case of accidents or health problems. The race organiser and promoters cannot be held liable if you experience health issues during the event. 2. Must bring a bottle of drink / water bladder minimal 1 litre ( for Half Marathon and Marathon Trail ) . 4. Maintain cleanliness and do not litter. 5. Must follow the path already set by the committee in the form of signage, road markings, directions and directives of marshal. Short cuts are not allowed. If you get lost, return to the last sighted marking. 7. Comply and follow the instructions specified by the Committee at all times. 8. Act with sportsmanship and put safety first. 9. The committee reserves the right to change the race route , postpone the race or cancel the race if there is something that is considered to endanger the participants , such as rain , storms , lightning and other potential events . 10. Participants who violate the rules may be disqualified . Tahura Trail takes place in and around the Forest Park Ir. H. Juanda, which is located in the center of Bandung, West Java. It is the remaining Nature Conservation Area and serves as the lungs of the city of Bandung. The park is only +/- 5 km from the Central Government (Gedung Sate). Participants are encouraged to use public transport to get there from the city centre.